Housing: Repeal Costa-Hawkins to allow for tenant protections statewide! Costa-Hawkins is a state law that restricts rent control and encourages landlords to push out long-time tenants and dramatically increase rents. We will work to organize tenants and educate people, to improve tenant rights and ensure people can stay in their homes. Pedestrian Safety: Make it safer for seniors and people with disabilities to cross streets and get around the city! We will increase the time allowed for people to get across the street and pursue other street changes, so that seniors and people with disabilities can get out safely and participate in the community. Long-Term Care/ Long-Term Services and Supports: Explore how San Francisco can support quality long-term services options. Create a community conversation on home care, nursing homes, and other long-term services and supports, considering issues such as medical needs, isolation, housing displacement, and personal wishes. 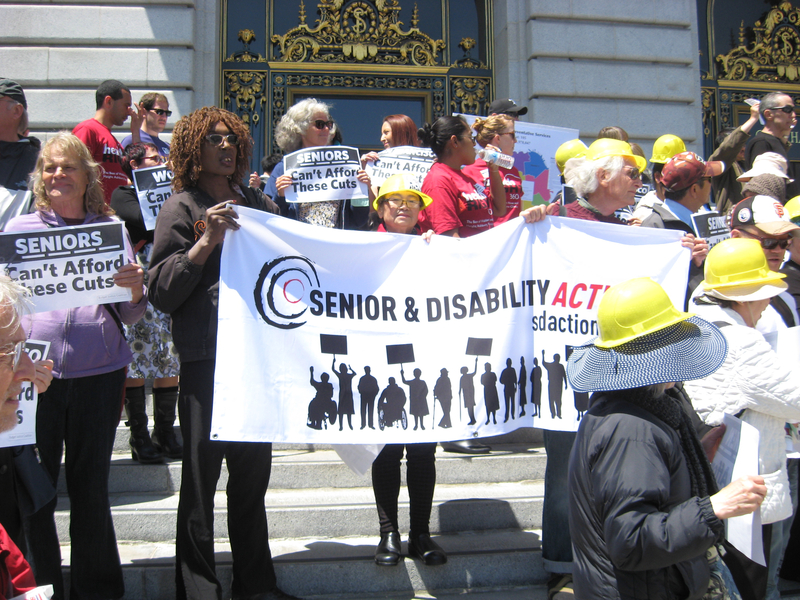 Increase rental subsidies for seniors and people with disabilities. Ensure legal representation for all tenants in case of eviction (Prop. F on San Francisco’s June 2018 ballot). Create more low-income housing for seniors and people with disabilities. Fight for single-payer health care, with long-term services and supports included. Pass AB 2314, a state bill that seeks to promote fair labor standards for domestic workers by educating workers and employers, including seniors and people with disabilities who hire home attendants/caregivers. Increase SSI payments at the state level (“100for100” — increase SSI by $100 to get people above 100% of the federal poverty level). Fight federal tax cuts, especially in health care and housing.